When you own a business or are a commercial property owner, security will be important to you. When you set up your lock and key system, you may want to give keys to some of your managers or higher ranking employees, without giving them access to the entire office or commercial space. This is when master keys come in handy. Master keys can help give you access to different doors with one key. This means you could have one key to open the building as well as your office and give your employees different keys that allow them to only open the door to the building. Master key systems are a great way to keep certain areas secure, even when you give someone else a key. If you think your business could benefit from a master key system, contact 24/7 Emergency Locksmith. 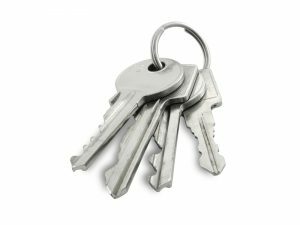 We can help install a master key system into your commercial space. If you are in need of commercial locksmith services, 24/7 Emergency Locksmith can help! We offer our services in Lehigh Valley and surrounding counties, including Lehigh, Northampton, Montgomery, Berks and Bucks. We can help give your building the security it needs and you want. Call 484-891-1922.